Who is Trade Ideas best-suited for? Finding quality trading patterns and signals in real-time is among the most important factors for successful trading. It requires the use of specialized tools. Every trader knows how easy it is to look at any chart and spot signals for profitable trades that ‘could have been’, but finding trading patterns in real-time is a different story. Traders who hope to have any kind of success in the markets need to use the best tools available. Trade Ideas is one such tool that provides stock-scanning services and alert signals. 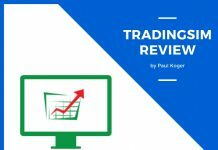 Having tested more than a few scanning software programs over the years, we’ve found that Trade Ideas is one truly in a class of its own when it comes to the uniqueness of its service. This piece of software doesn’t just provide scanning and trade signals, it also has a vast range of features that will simplify your daily trading processes beyond your expectations. 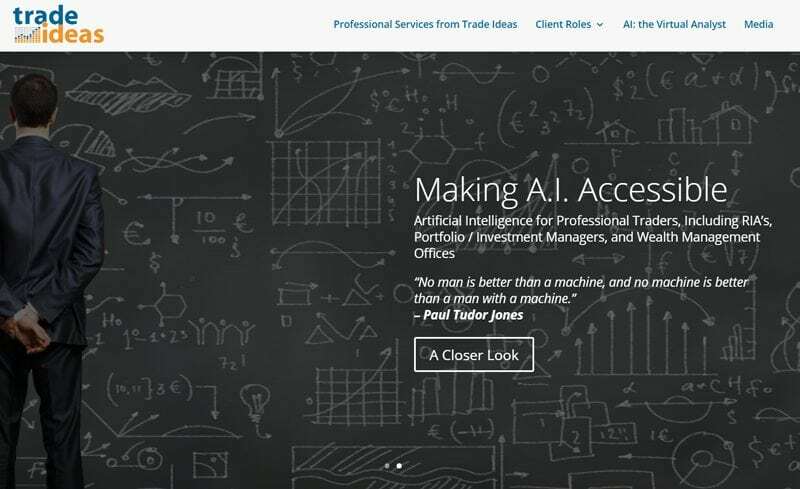 Our review of Trade Ideas will hopefully give you additional information you need to decide if this is the a valuable stock-scanning and alert service for you to utilize. Trade Ideas is one of the most popular stand-alone stock-scanning platforms in the market today. Formed in 2002, the platform provides a treasure chest of built-in scans to help you find real-time trading opportunities. This amazing software is considered by a lot of traders as the be-all and end-all of scanning and alert services. 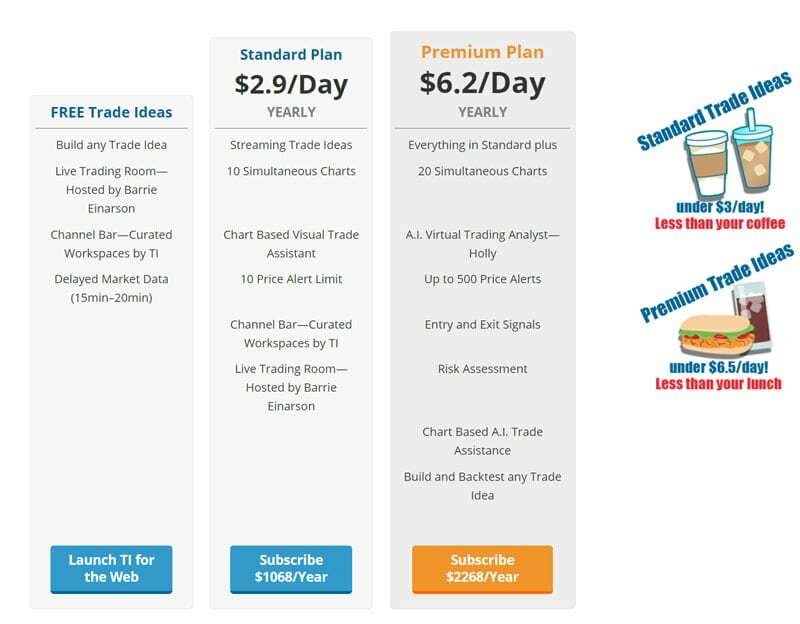 Trade Ideas Pro will supply you with a non-stop stream of trade ideas every day. This platform has a unique feature that allows its users to develop their own strategies by using a simple drag-and-drop tool. You can even combine some of the built-in strategies to come up with your very own hybrid systems. There’s no need to learn code or have the prior technical knowledge to do this. Even the most tech-challenged user will find this interface easy to use. 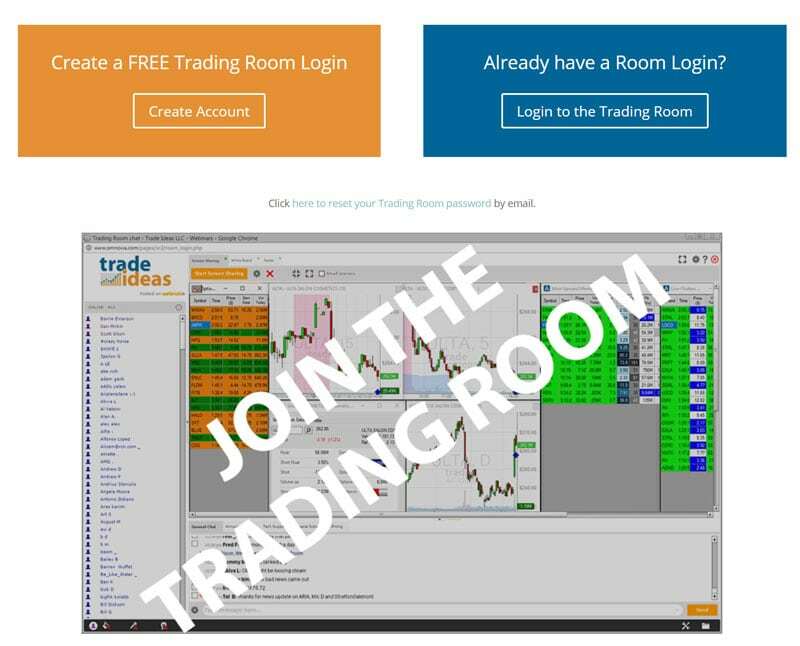 As a bonus, each trader who subscribes is offered a training session with one of the many expert Trade Ideas coaches to help them learn the system’s workings through and through. In addition, there are lots of tutorials and videos to help you learn about every aspect of the scanning platform. You can access this software via your browser for easy convenience or download it as a stand-alone app where everything is integrated, and smoother. This scanning service is perfect for those who trade intra-day. It works for pre-market, post-market, and normal market hours. By adjusting the settings to the longer timeframes, even swing traders can find great opportunities for short-term swing trades. If you’re a momentum trader, you will have more trades signals than you can utilize. In actual fact, you will have a hard time convincing yourself not to trade because of the number of quality signals you will receive. Over-trading is a common problem that applies to most ordinary scanners and it’s even more pronounced on Trade Ideas. 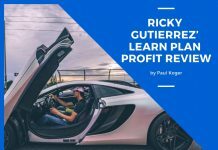 A lot of successful users found that having a solid trading plan in place helps a lot. It’s best to only use the scanner purely as an idea generator to help you find ideas that fit into your pre-determined trading methodology. After logging into the Trade Ideas platform, you have a choice of pre-configured scan settings including bullish, bearing, and neutral scan options. You can proceed to add extra filters to find tradeable stocks according to the kind of trade setups you’re looking for. For instance, say you’re looking for a bull flag pattern. You would set your scanner to search for any stock with a 10% gain during the last hour, and has consolidated in a 2% range during the past 15 minutes. You could also add a filter to search only for those with a market cap less than $500m. Other filters you can add include the price range of the stocks, outstanding float and so on. There is absolutely no end to the combinations you can use on the scanner settings to cater for every type of trading strategy imaginable. Since its creation almost 2 decades ago, Trade Ideas has evolved significantly. Today, this platform is the most user-friendly scanning service you will find anywhere. It features the Channel bar – a menu on the tab which has pre-set themes like Trending, Pre-market, Penny Movers and so on. It is designed to make it easy for you to immediately get started scanning the markets. The graphics of the menu are visually appealing. They add to the overall intuitive nature of this software and make all the categories pretty much ‘self-explanatory’. Platform users can quickly and easily understand what’s in the menu by reading the details of each strategy. As far as charts go, the charts on the Trade Ideas platform are quite basic and include the usual bar and candlestick versions as well as some common indicators. The charts are not ideal for much more than just looking at the price action. If you’re a serious trader, you probably already have a charting platform that you use, and it’s advisable to use that for your chart analysis instead and keep the screen real-estate on Trade Ideas for scanning charts. One distinct advantage of their charting is that whenever an alert pops up, you can visually confirm it at once without having to flip between programs. As a trader, you know how frustrating and time-consuming that can be! Trade Ideas has built-in strategies with pre-configured scans. Users can use these as they are or set extra parameters like volume, price range, stocks, options, exchanges, and ETFs. You can literally combine these strategies in endless ways. Trade Ideas has a setting for each and every technical or fundamental data point you can imagine. If you can think of it, Trade Ideas has a way to scan for it! For example, you only want to see stocks that are less than a week from their earnings date and are up at least $5 from the previous close with a 5-minute volume 10% above average – just enter those parameters and that’s exactly what you’ll see! Another added advantage of Trade Ideas is its capacity for speed which makes it great for finding hot stocks in the morning. 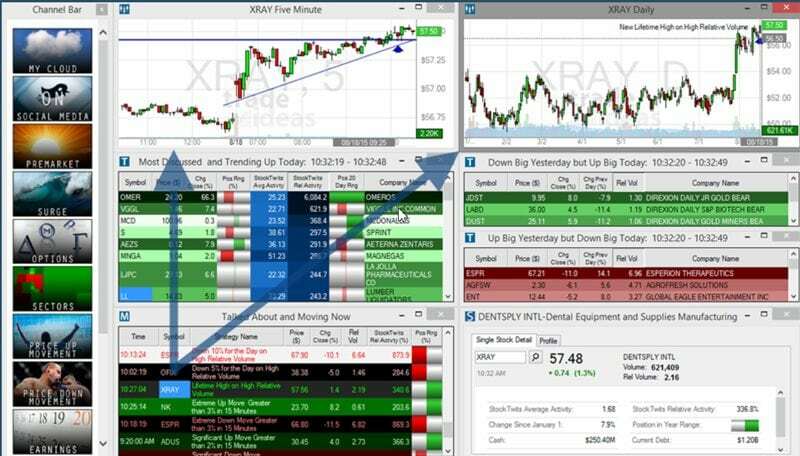 Trade Ideas excels by using preset scans to present you with a dynamic list of stocks in real-time – a service that most other stock scanners haven’t quite polished yet. The alerts window shows the scan results and includes columns for the symbol, time, strategy name, price, volume and so on that you can configure. Users can quickly and easily see the alerts history for that day by scrolling down the window. One of the new and helpful features that were added to Trade Ideas over the years is a superb back-testing feature called The Oddsmaker, which is only available to Premium subscribers. The program visualizes any strategy’s probabilities within minutes and you can even play around with the parameters so you can observe how they affect the results. 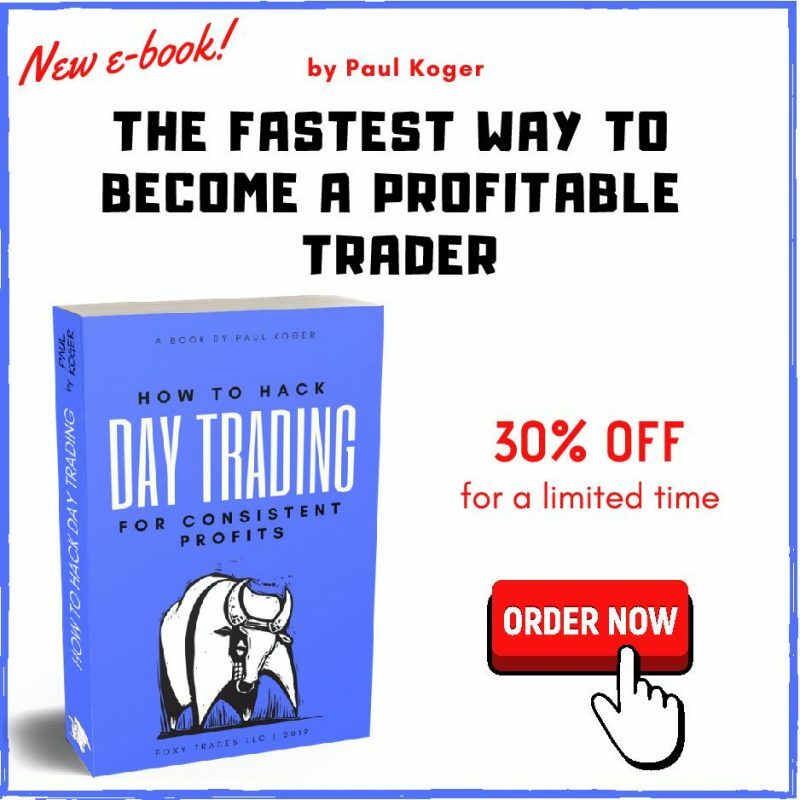 This is perfect for traders who want to optimize their strategies before jumping into trades. It’s easy to set up the conditions and the results are displayed in a way that is visually appealing and easy to interpret. One of the best innovations of the Trade Idea platform is Holly, the artificial intelligence engine which implements a variety of strategies and selects the ones with a success rate of over 60 percent as well as a reward to risk ratio of 2:1. Holly stalks the market and executes these trades effortlessly. Afterward, you get the complete data for the trade entries, exits – including the exit reasons, and the strategy employed in that trade. You get a real-time update of the results, which means as a user you can either piggyback on these trades or you can just sit back, watch and learn. In addition to the daily end-of-day trading recap videos that you receive, after you’re done trading, and while you’re home unwinding with your friends or family, Holly will continue to work overnight. Holly runs countless simulated trades against 45 different concepts in order to come up with even more viable trading strategies for you to use the next morning. In the AI window, she will provide you with a morning watch-list of the stocks that will be traded for the day so that you can follow along throughout the day. By integrating with brokers like Scottrade, eSignal, and E*Trade, Trade Ideas enables auto-trading capabilities on their platform. As a new subscriber, you have the option of scheduling a training session with any of the Trade Ideas coaches who will help you learn how to navigate the platform effortlessly and answer any questions you may have regarding this scanning software. You can also make use of YouTube videos as well as tutorials on the TradeIdeas.com website (although we honestly don’t think you will ever need to. Figuring the platform out is so easy a six-year-old could probably do it with very little instruction). As we have previously mentioned, this is possibly the best stock scanner on the market today. This is down to the fact that most platforms offering similar services don’t even approach the level of flexibility, ease of use, and the unique intra-day scans that Trade Ideas does. With Trade Ideas, all the processing for the platform scanners is done on their own servers and then the stock candidates are pushed to you. You won’t need to do it on your own computer which would ultimately tie up resources and slow down performance. Standard subscription costs $99/month (or $888 paid yearly). It comes with all the basics like the Channel bar, built-in indicators which you can customize, charts, alerts, top lists, and real-time data. The Premium Subscription costs $188/month (or $1,888 paid yearly). It includes all the features of the standard package plus Advanced Windows, Oddsmaker Back-testing, and the amazing Holly Grail of AI Engines. 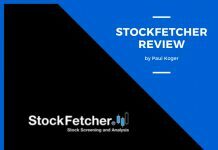 As you have seen from our detailed Trade Ideas Review for 2018, every aspect of their scanning software blows all competitors out of the water. We believe that the price is a steal for the value they are offering. Trade Ideas has proved its value over the years and continues to be an indispensable asset for many successful traders today. If you are a trader or investor keen on optimizing your trading time by using one of the most advanced technical stock screening software out there, you should definitely check out Trade-Ideas. A good idea would be to first try out their free trial to get to know the platform and have a better understanding of what they’re all about.